After months of waiting, a date for the SC Villa elections has been set. This was during a press conference in which the current President Ben Misaga addressed the general public and made the long awaited announcement. 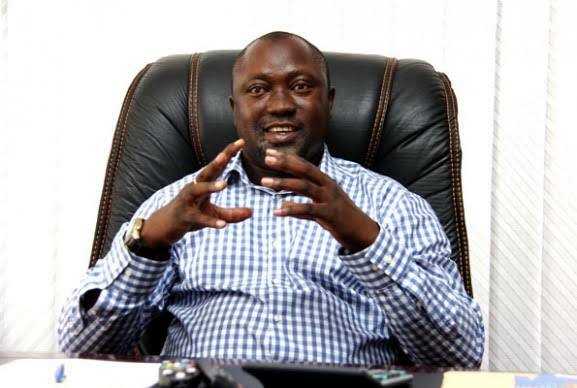 “Let me first thank all those that managed to start SC Villa and ensure its existence like the late Patrick Kawooya, Franko Mugabe and all his mates that he was working with at the time because they laid a stable foundation that our club thrives on, said Misaga. “I have lived to witness voting on three occasions at Villa, Kawooya was voted for at Villa Park and then Franko Mugabe the first time and second and of course me at Namboole. “But due to the fact that many thought i was young, they refused to announce me the winner yet i was unopposed. “So in the history of Villa, me, Mugabe and Kawooya are the only ones that have officially been Presidents because in the club’s culture, the leader is just voted-in. “All those interim have been there to help. “The most important thing in all, Villa is the fountain of Ugandan football. Everyone revolves around us to see how leadership in a particular club should be conducted, continued Misaga. “All those other clubs like KCCA don’t vote their leaders and just appoint. “Do not know why FUFA always tells Villa that it is supposed to vote but i guess that should not be our issue, it shows that the club is stable and everyone is looking out for its elections but what we will not allow is to run under interim management, we have to follow the constitution of the club. “I was also not there when it was drawn. It was drawn when i was still in Lusaka-Zambia and when i came, it was the only precious thing that Villa gave me in my Presidency. “On that note, basing on the rule in our constitution, article 39, as the leader of the club, i have authority to name Mr. Ivan Kakembo as interim CEO, Sarah Adong the spokesperson and also a committee that is going to over-see the elections like under article 24 stipulates. “It will be led by Mrs. Evelyn Asimwe, her Vice is Hon. Sarah Babirye Kityo, Musa Mirunda, Ivan Kakembo like FUFA’s rule says that the CEO is supposed to be on this particular committee and he is and Sarah Adong the spokesman. “I have also appointed an appeals committee which will be chaired by council Robert Kagolo. “It will Ronnie Mutebi as a member and Charles “Gaza Man” Kodili as its Spokesman. “The committee should ensure that they work under the rules of the club, ensure that all the voting rules are put into consideration, strictly following that the particular deadlines are met, letting all members of the Congress (club Perliament) and Public know about proceedings, ensure proper co-ordination with all related partners and to revise the list of individuals who are to vote and certaining it. Misaga also enlighten about the personnel that can stand for election. “Every person who wishes to stand for any post must have a seasonal membership card for the club that runs from the past season. “I personally will be standing for Villa presidency. On the date of elections, he had this to say. “Elections will take place on the 24th of August at 10:00am at Royal Gardens in Masaka. “What i argue FUFA is that they should ensure that the people they bring to stand don’t break our constitution’s rules and regulations and also not force Villa to run under interim because all that we want is equality and tranquillity in these elections. “I ask everyone to campaign basing on truth and also the voters to vote for someone who will take the club forward not make it stagnate. The program of the whole process was also tabled. -11th-15th June. Reviewing the members of SC Villa. -24th June. Looking at how the voting process will run basing on the rules guiding the club. -24th of June throughout the month. Allowing members to second all those who want to stand for election. -2nd-6th July. Handing nomination forms to all those that may have gone throw the vetting process successfully and ensuring that each person standing is very much capable of being a leader of the club, not someone who will shame the institution. -16th-20th July. All the successful applicants bring back nomination forms. -24th July, Letting the public know who has successfully been approved to stand for the Presidency. -30th July-3rd August. Printing posters of those that have successfully stood for the Presidency and also drawing of ballots. 24th August. Election Day at Masaka Recreation Garden.